WATCHING WITH INTEREST ... | Roda Forum Online - Information at your fingertips! 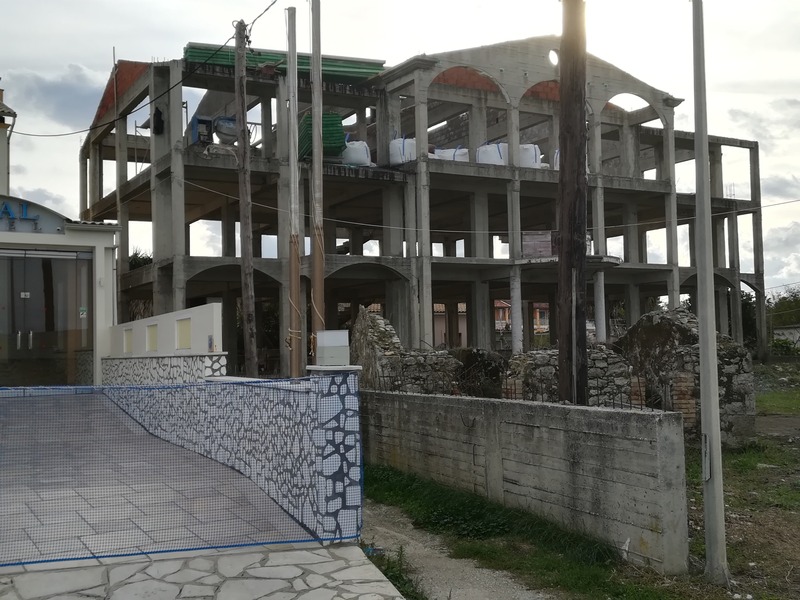 About ten to twelve years ago, I returned to Corfu in April to find a new hotel had risen almost overnight from some waste land. It was almost a cartoon-like dolls' house of a framework with busy men on every floor, working as though their lives depended on it .... and then it all stopped! That concrete frame has stood there ever since, gently mellowing in the winter gales and the summer sun until ....! A few days ago, we noticed someone securing a new gate and erecting a fence in front of the building which stands between the Coral Hotel and the Brandy Shop. Today, there was someone on one of the upper floors with some building materials and equipment, so we must assume that things are about to move again. I was once told that the owner also owns Valentino's Apartments, and had started the building for one of his sons who, subsequently, didn't want to take it on. Has something changed, or is Valentino's spreading its wings.? One thing is sure - if it happens, it will make a significant addition to that end of the village. We will watch with interest! We managed to get a photo of the hotel today. You can see the bricks filling in the gaps and out of sight are the new metal beams for the roof. Whilst not exactly a hive of activity they are obviously trying to get the roof in place so that work can be done when the weather isn't so good. I have seen a post on another forum that suggests a recent law means that shells such as this need to be walled and roofed by December otherwise planning permission will be withdrawn. No idea if this is true. 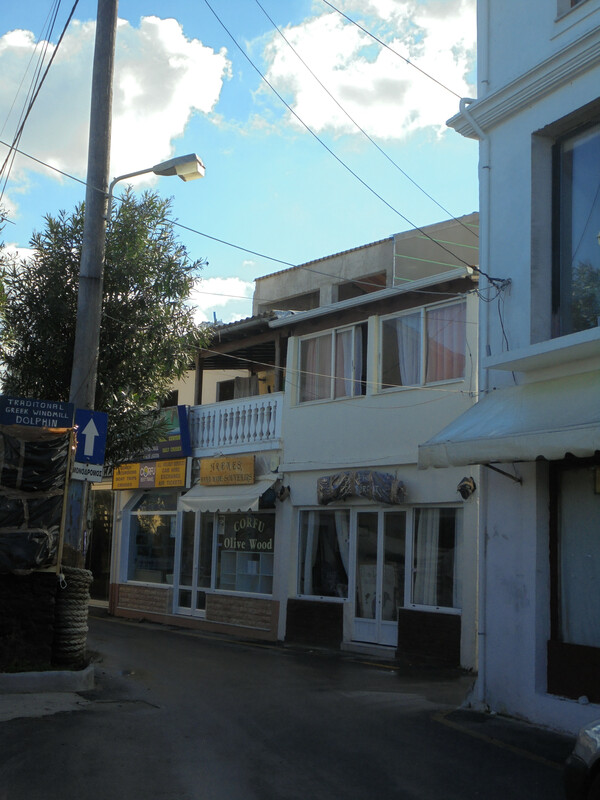 Another project we have been watching is the building of some holiday aparments over the gift shop run by Yiannis from Express supermarkets, they are opposite La Luz. Because they are quite hidden until you get quite away from the building the building was up before we noticed. They will have terraces on the front with great views over the former Pangalos (Kind Hearted Place) building towards the sea and Albania. Has there been any further activity in respect of the shell next to the Coral? We have been coming to Roda for many years and always wondered why nobody had proceeded with that development, given it is in a fantastic location - I wish I had the money as I would do it myself! It could be a wonderful place for a hotel. It is being worked on at the moment, but the thought is that is will only be enough to maintain planning permission for some future date of completion. But we are watching with interest the progress and will report more if we find out more. Aah I see - doing perhaps the bare minimum for now with a long term aim for the future. I can follow the logic given the state of the economy. It would be nice to see it developed in the future as I am sure the demand would be there.